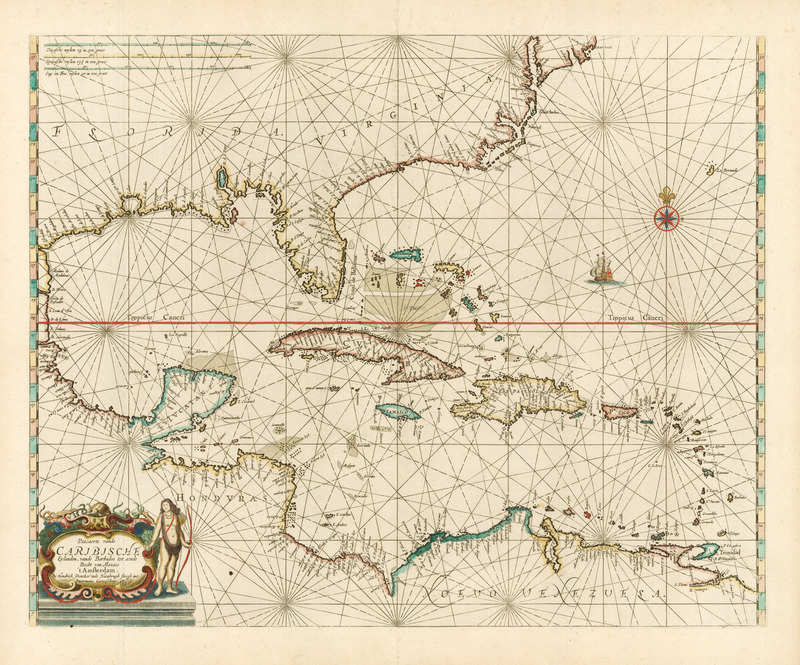 This is an authentic antique sea chart of the Caribbean, showing the southeast portion of present day America, the eastern coastline of Mexico and Central America, and the northern coast of Venezuela. The map was published by Henrick Doncker as part of De Zee-Atlas oft Water-Waereld in 1659. Condition: Map is in A condition, displaying a strong impression with a couple of very faint spots and several professional repairs to minor chips and tears in blank margins.